There are many mythological stories of Greece in which the son had murdered his father. 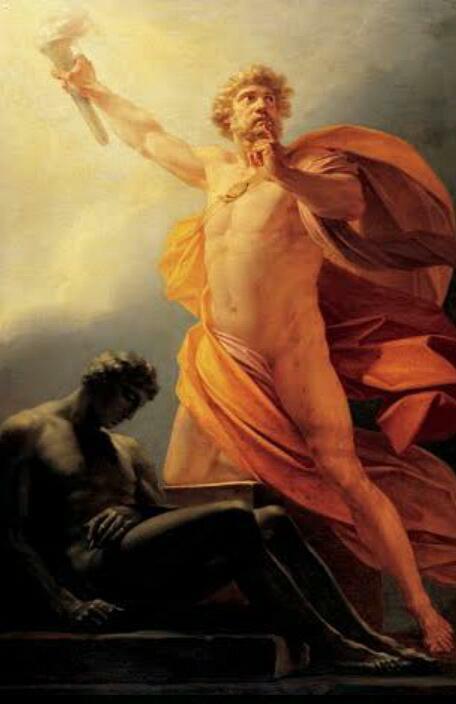 Uranus was murdered by his son, Cronus, the Titan. 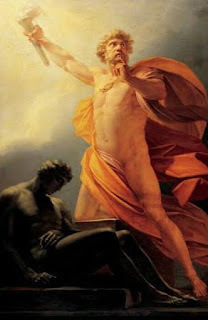 Then Cronus was killed by his son Zeus, the Olympian. Uranus was was the God of Gods; after his death Cronus took his place and after the death of Cronus, Zeus took the throne. The chain of inheritance continues with the death of the father. A father is always suspicious of his son. Sons waged wars against their father for the throne. Sometimes these wars and the thrones were turned unknowingly. The guilt is there after the death of the father, but so is ignorance, and as a result such events occurs from time to time. A son does what his father had done, and in turn his son rejects him too. In Hindu mythological stories, different events are seen. Here, the father wins and the son succumbs. This defeat of the son is often glorified as Voluntarily. In Ramayana, Ram obeyed the order by given by his father of fourteen year exile. When he returns, his father is dead and he is given the throne. What happened was an ideal rule. But then in Mahabharata, the story of Yayati and Shantanu has been told. Rejecting Yadu by taking the side of Puru, and the great sacrifice by Bhishma, were the cause of the horrifying war on Kurkshaitra. Bhishma sacrificed his right to have a marital life, so that his father could marry Satyavati (his father's lover and a fisher-woman). A son sacrifices himself for his father's happiness, and is glorified as a hero. 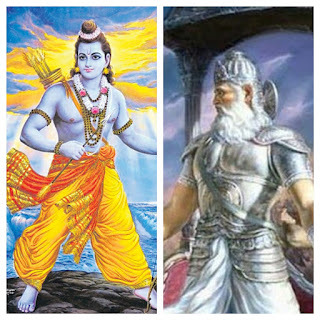 In both cases, the sons obeyed their father, but whilst in Ramayana its result was glorified, in Mahabharata the end was tragic. Where was the difference born? In Ramayana, the son was exiled so that he could fulfill his father's word, and so that the unity of the royal family stays intact. In Mahabharata, the sons suffer so that their fathers could indulge in happiness. Here the issue is not about being obedient. The point is that is the obedience to maintain the root system or is it to fulfill ones own desire to stay happy. In Ramayana, the main point is Dharam and in Mahabharata its Karma and pleasure. Be in peace. Spread peace. I would prefer Ramayana any day. Simpler, uncomplicated, no unnecessary wars. Do your karma with dharma and inner peace/pleasure isn't far. Aneeta, for me these two books are something that teaches us many nice things but also makes us wonder (what was wrong but was presented as something righteous).